Oval Cut Fire Opal Pendant With Simulated Diamonds and Oxidized Silver. 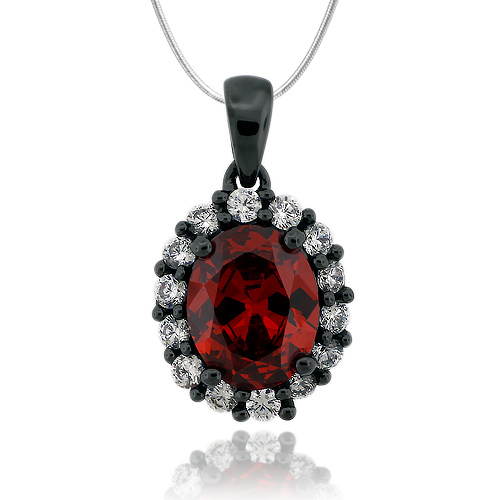 Add intense glimmer to your outfit with this gorgeous pendant with a fire opal gemstone (in approx. 10mm x 8mm) and simulated Diamonds. No chain included.